On Monday, August 17, 35-year-old Macon defense attorney Holly Hogue Edwards was charged with drug distribution. A news article at 11 Alive says that Edwards was arrested after being pulled over on Interstate 75 in Peach County, according to Monroe County investigator Greggory Phillips. Authorities pulled the criminal defense lawyer over to serve an arrest warrant charging her in the case involving distribution of oxycodone. Edwards is charged with a single count of distribution of oxycodone and methamphetamine, and three counts of distribution of oxycodone. Oxycodone is a prescription narcotic pain medication that is highly abused and addictive. A Monroe County Sheriff’s Office news release stated that Edwards sold drugs to undercover agents. The investigation of Edwards began in May when it was learned that she might be involved in illegal activities including the use and distribution of illegal drugs. The indictment revealed that the incidents Edwards is alleged of being involved in occurred in May and June. Edwards, who was admitted to practice in Georgia in 2005, pleaded not guilty to all charges against her. Edwards opened her own law practice in 2009, and was an assistant public defender in Houston County and an associate attorney at Hogue & Hogue prior to opening her own firm. Hogue & Hogue is operated by Edwards’ former mother- and father-in-law. In the state of Michigan possession or possession with intent to sell or distribute oxycodone are very serious charges. In cases involving less than 50 grams of oxycodone, an individual may face criminal penalties including a $25,000 fine and/or up to 20 years in prison if convicted on distribution charges. If an individual is found guilty of possession of 1,000 grams or more, penalties increase to fines of as much as $1 million and possible life in prison. 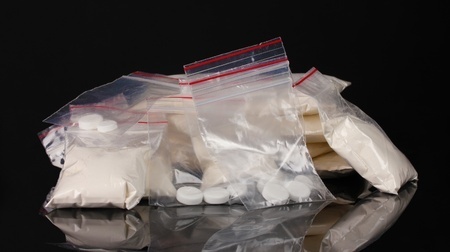 Clearly, anyone who is accused of distributing illegal substances or prescription drugs must consult with an experienced Michigan drug crimes attorney. Those charged with serious drug crimes face extremely harsh consequences, including loss of freedom. Ultimately, a conviction will change an individual’s life forever. By working with a capable defense lawyer it is possible to reach a more favorable outcome in many cases.